UPDATE: The number of Americans who have given up looking for work has remained unchanged since April, which means June's jobless rate declined for the right reason: because people found jobs. Read more here. UPDATE: Janet Michael of Atlanta hasn't found full time work since her last manufacturing job ended in 2009. Eagan, Minnesota, IT architect by trade Mike Adair hasn't had a job interview since September. These are the faces of the underemployed and long-term unemployed. Read their stories here. U.S. hiring picked up pace last month, adding more jobs to the economy than expected. The monthly snapshot of the U.S. job market released by the Department of Labor Friday was cause for modest celebration: 288,000 more jobs were added to the economy in June, reducing the unemployment rate by one-fifth of a percentage point to 6.1 percent. With data revised for April and May, 29,000 more jobs were created than previously reported. April's revision shows 304,000 jobs were added, the biggest increase since January 2012. Wall Street analysts expected 215,000 jobs to be created last month and unemployment at 6.3 percent, the same level as May. June marks the fifth consecutive month with job gains above 200,000, which hasn’t happened since January 2000. Economists typically estimate that the U.S. must create about 200,000 jobs a month to absorb new working-age Americans; anything above that helps extend jobs to the existing unemployed. In May, the economy recovered the 8.7 million jobs lost in the 2007-2009 Great Recession, but the nation has a long way to go to meet the demands of a workforce that has grown larger in the past five years. And the jobs pay less; wage growth is barely keeping up with inflation. Average hourly earnings increased by 6 cents to $24.45 in June. Wages have risen 2 percent over the past 12 months. The number of long-term unemployed, defined as anyone who has been out of work for at least six month, declined by 293,000, to 3.1 million. They now account for just under a third of all job seekers. But the labor force participation rate, defined as Americans who are employed or actively seeking jobs, was unchanged for the third consecutive month, at 62.8 percent, a low unseen since the Carter administration. Employment growth was strongest in business and professional services, retail, food establishments and health care. 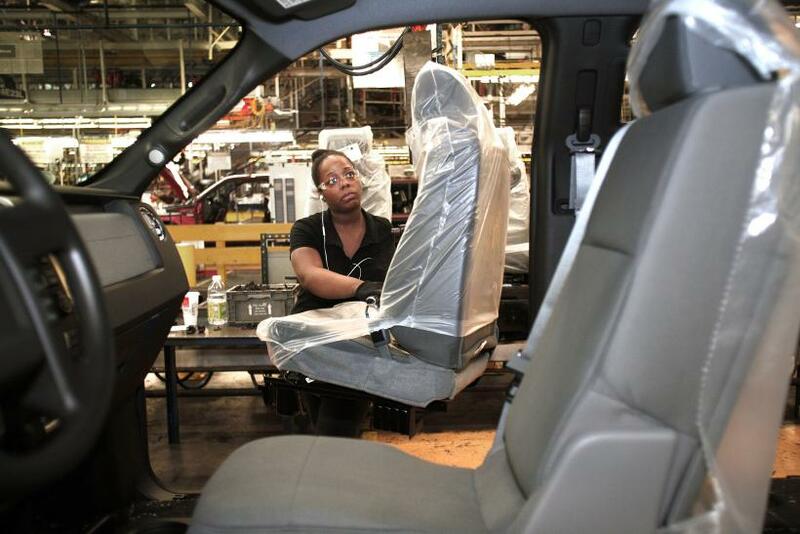 Manufacturing employment added a tepid 16,000 jobs in June, fueled largely by the ongoing rebound in the automotive sector. Construction jobs remained flat. The average workweek held steady for the fourth consecutive month at 34.5 hours.